YouthBuild USA was started informally in 1988 and incorporated in 1990 to guide the process of replicating and scaling up the YouthBuild program with quality in the United States after the program had succeeded in five neighborhoods in New York City. 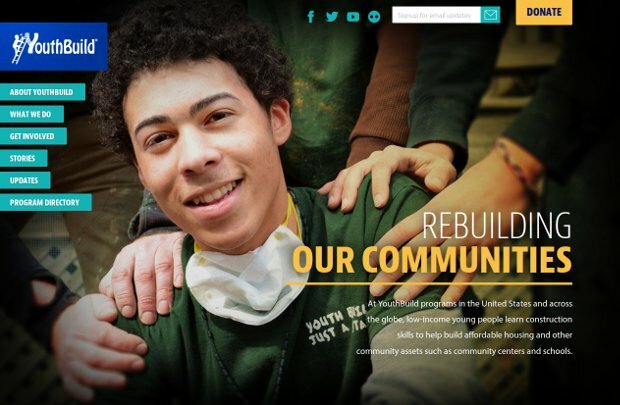 There are now 264YouthBuild programs in 46 states, Washington, DC, and the Virgin Islands. Over 120,000 YouthBuild students have built over 22,000 units of affordable, increasingly green, housing since 1994. Community- and faith-based nonprofit organizations sponsor most of the programs, many of which are led by social entrepreneurs who have started YouthBuild in their communities, just like Dorothy Stoneman, recipient of the 2007 Skoll Foundation Award for Social Entrepreneurship, started the first YouthBuild program in East Harlem in 1978. In YouthBuild programs, low-income young people ages 16 to 24 work full-time for 6 to 24 months toward their GEDs or high school diplomas while learning job skills by building affordable housing in their communities. Emphasis is placed on leadership development, community service, and the creation of a positive mini-community of adults and youth committed to each other’s success. Students may earn AmeriCorps education awards through their homebuilding and other community service. At exit, they are placed in college, jobs, or both.